Professor Sarikakis will address the dilemmas of modern day established and aspiring academics who are faced with the dictate of ‘publish or perish’ and ’teach or publish’ and will add one more dimension, that of impact or research and teaching in society. It will discuss possibilities for connection through personal examples and reflections on ways in which aspiring faculty may empower themselves away from restricting narratives based on artificial and unethical dilemmas. Katharine is Professor of Communication Science with specialisation in Media Governance, Media Organisation and Media Industries at the Department of Communication, University of Vienna. She leads the Media Governance and Industries Research Lab. Katharine is the founding and twice elected Chair of the Communication Law and Policy Section of the European Communication Research and Education Association. 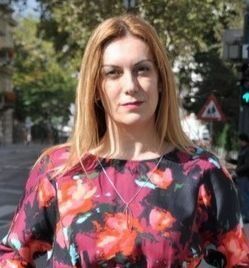 She is currently an elected member to the ECREA Executive Board. Katharine is also an elected Member of the International Council of IAMCR. She is the Co-Editor of the International Journal of Media and Cultural Politics.